Dali's Llama - "Howl Do You Do?" Formed in 1992 by Zach and Erica Huskey, Howl Do You Do? 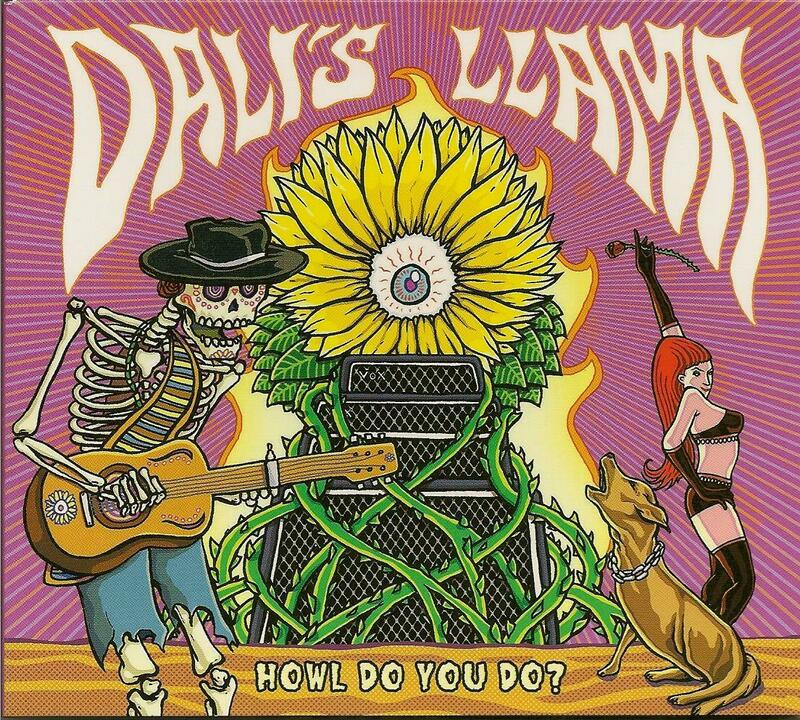 is Dali's Llama's ninth CD, and on it the band takes raw blues-rock to the edge of oblivion. They tread almost grungy ground, riff laden and earthy throughout the majority of this CD. Blues, however, for some, including me, bores kegs rigid, but here we have a slice of enjoyment with the music rather than that all too serious flavour. We feel this love of playing on all of the tracks of this CD, and if it were not for this fun, the whole experience would not be well... as fun! Dali's Llama's music itself is rock at its core; blues and that stoner vibe also come across with a passion. It flows along at times in a kind of Pixies way, preparing the scene for garage-infested blues-rock, and that is what we get, pure and simple, with no diversion from the fact. The sound is what you could term as raw, alive with an edge to it. It is well done and well played, and I find that, even though it is not my cup of tea, I found it an enjoyable listen!